I used to wrap sweetcorn in aluminium foil and bake it- along with countless other times of using the aluminium foil for other things. I learnt a more eco-friendly way to bake sweet corn from my vegetable delivery company last week. And it is very simple too. 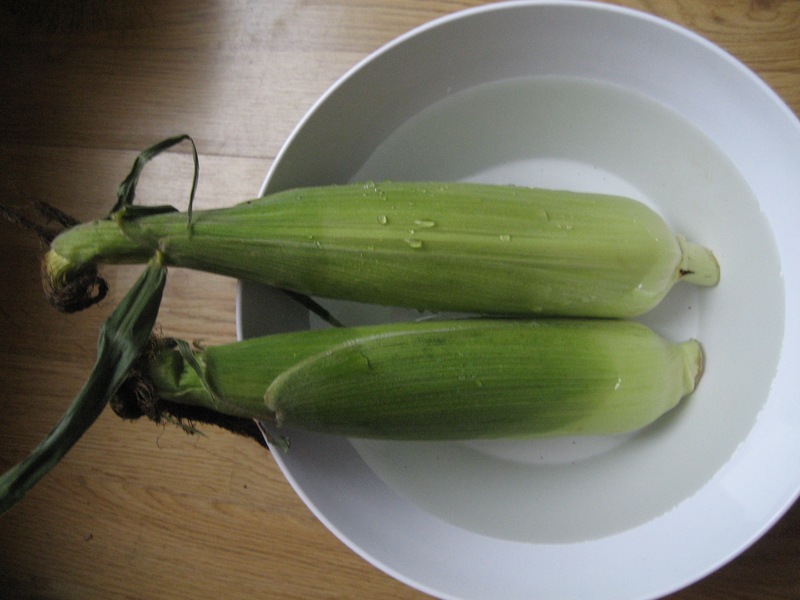 Just soak the sweet corn in water for 30 minutes without taking off the outer husk- it also keeps in fresher and sweeter for longer. Then without taking off the husks, bake it for about 25-30 minutes in oven 180 degrees. Take it out but do not remove the husks until the last minute- they will keep warm. Then serve with lashings of butter and a little salt if you like, delicious! You can also barbecue the sweetcorn in this way, instead of using the oven. I can reuse the husks to cover other stuff instead of using foil and they cover tricky shapes like ovals and circles as they stretch. Foil is of course, recyclable infinitely but the raw production of it is very energy intensive. Foil can be reused but most people throw it away after one use. Used husks below are very easy to use- and after the second use, I have now put them for composting- Nature does not make waste! Up to six tonnes of bauxite ore (the raw material for aluminium) is needed to produce one tonne of aluminium metal. Lot of of fossil fuels are used to mine, transport, and refine the ore (embodied energy). Foil in a landfill is said to last at least 400 years before breaking down. Burning aluminium foil with the waste from landfill sites (as many people don’t bother to re-use or recycle it) releases toxic metals and gases. Health concerns have been raised about using aluminium cooking vessels so using foil should have similar concerns. 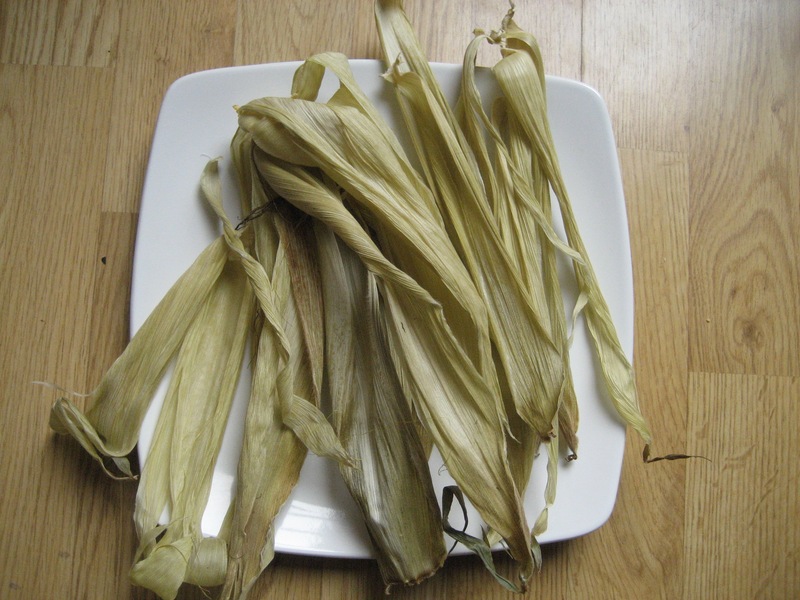 So why not use a totally biodegradable and natural material to bake or barbecue your sweetcorn? Categories: benefit, ecology, environment, metal, recycle, reuse | Tags: aluminium, beneficial, environment, husks, recycle, resource, reuse, sweetcorn | Permalink.